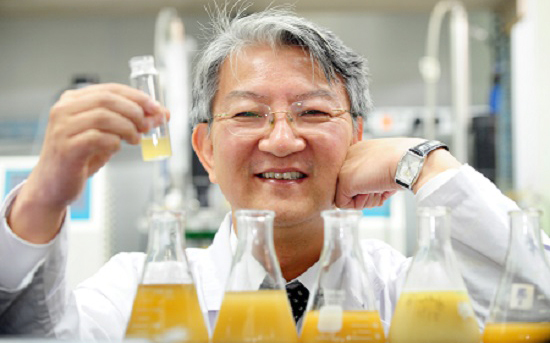 “We are so excited that this review and poster will expand further discussion on the production of important chemicals through engineered micro-organisms and also combined biological and chemical means in a more sustainable manner,” he explained. This work was supported by the Technology Development Program to Solve Climate Changes on Systems Metabolic Engineering for Biofineries from the Ministry of Science and ICT through the National Research Foundation of Korea. Figure: Bio-based chemicals production through biological and chemical routes. This metabolic map describes representative chemicals that can be produced either by biological and/or chemical means. Red arrows represent chemical routes and blue arrows represent biological routes. 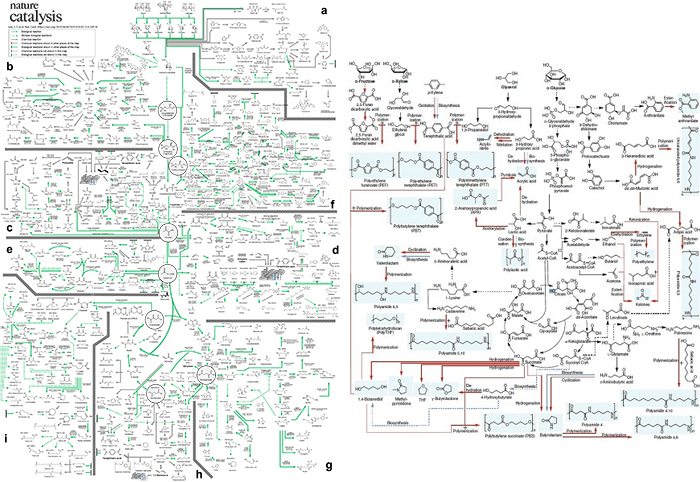 Intermediate metabolites in the metabolism of a living organism can serve as a platform toward the production of industrially relevant chemicals. A more comprehensive map presented by the team can be found as a poster in the review.